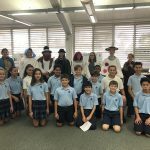 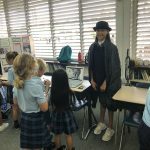 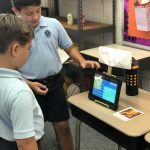 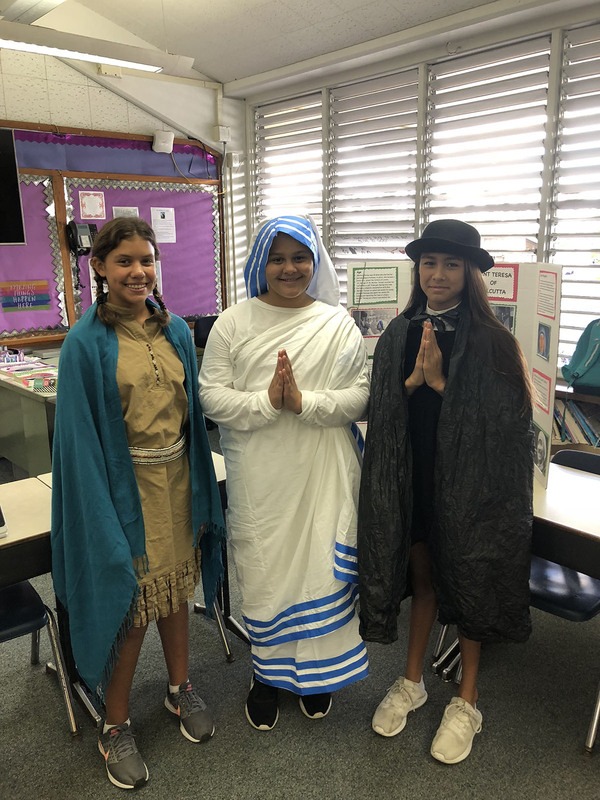 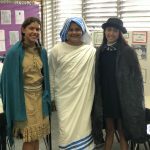 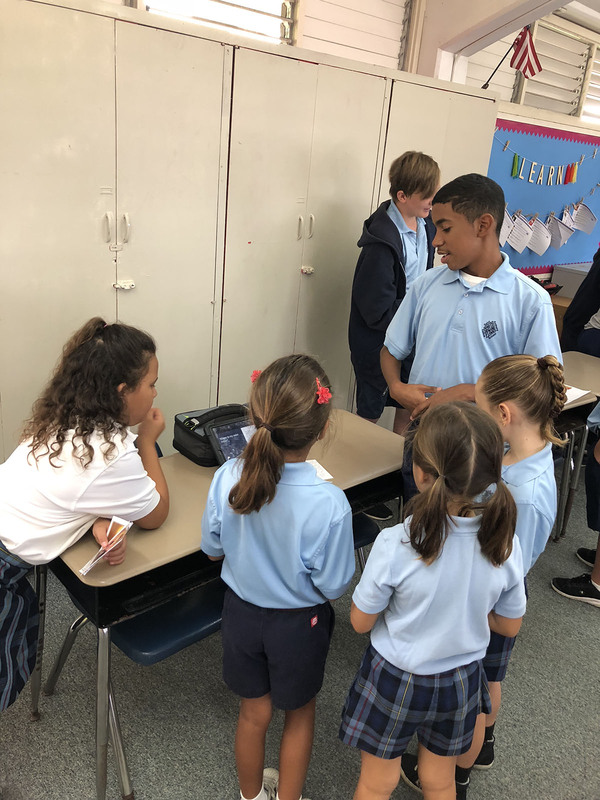 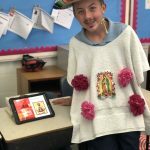 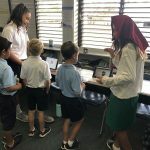 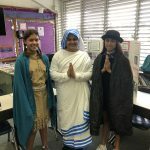 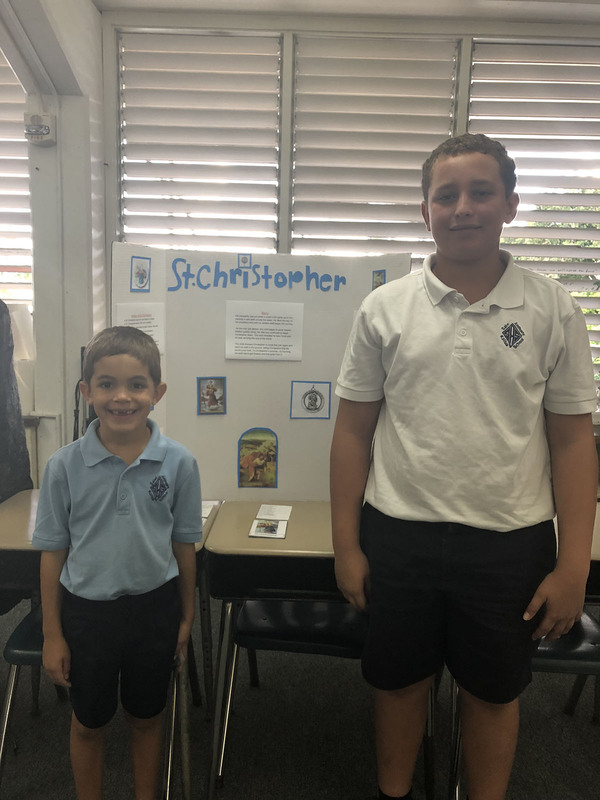 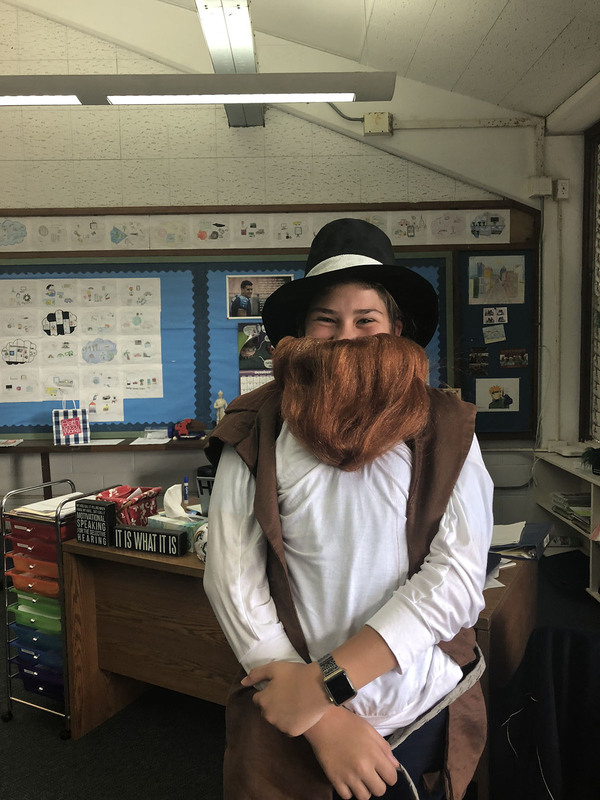 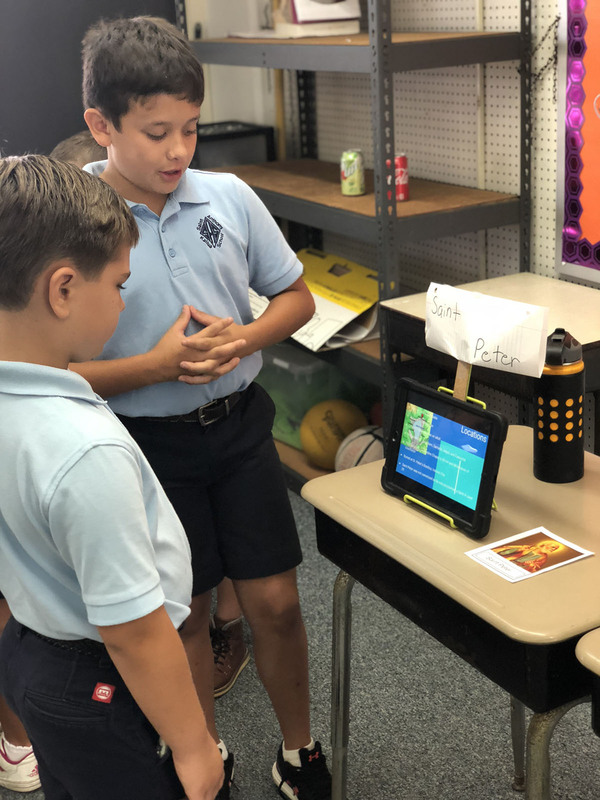 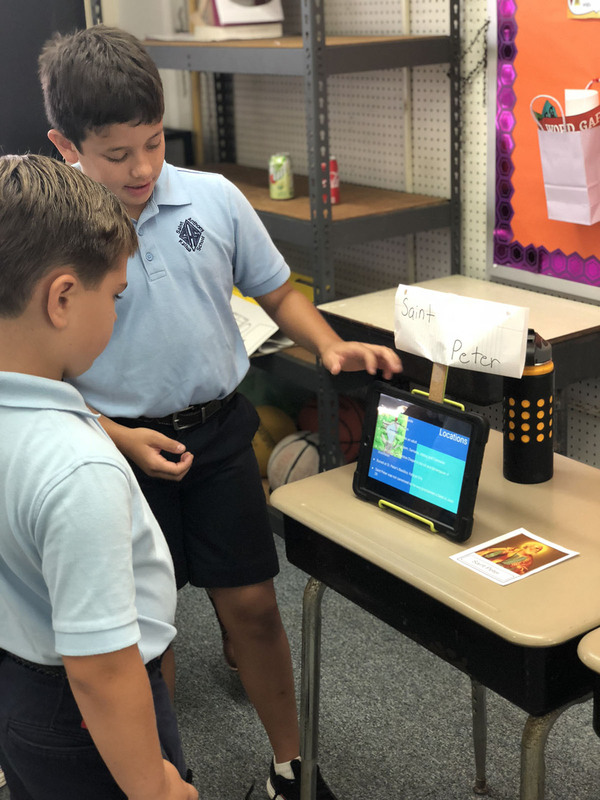 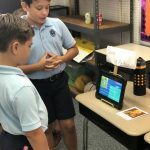 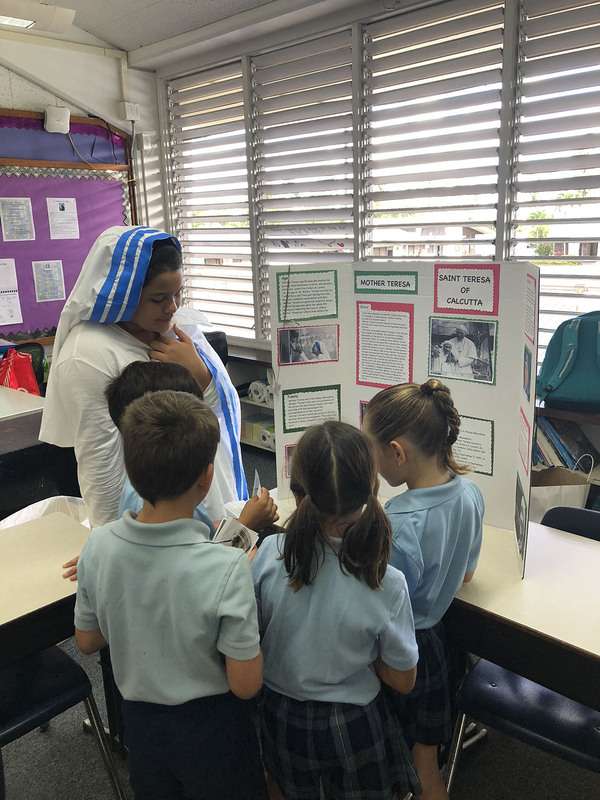 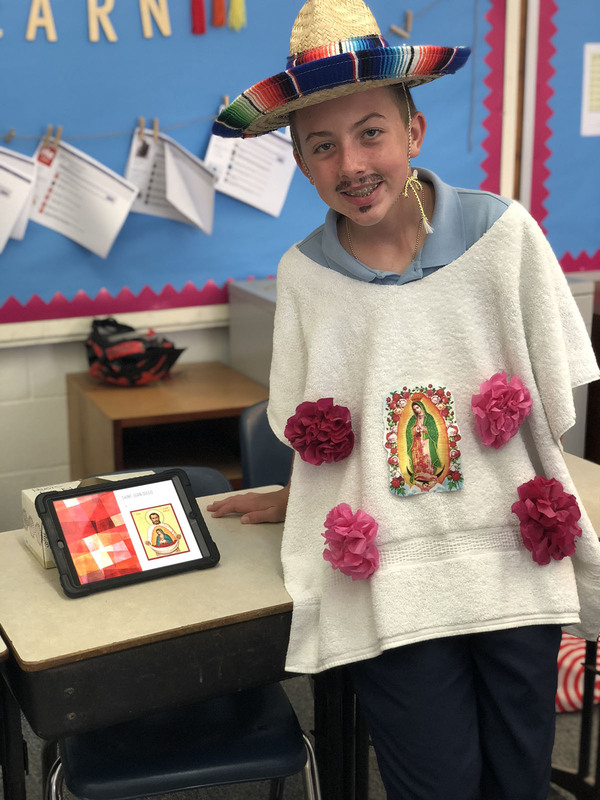 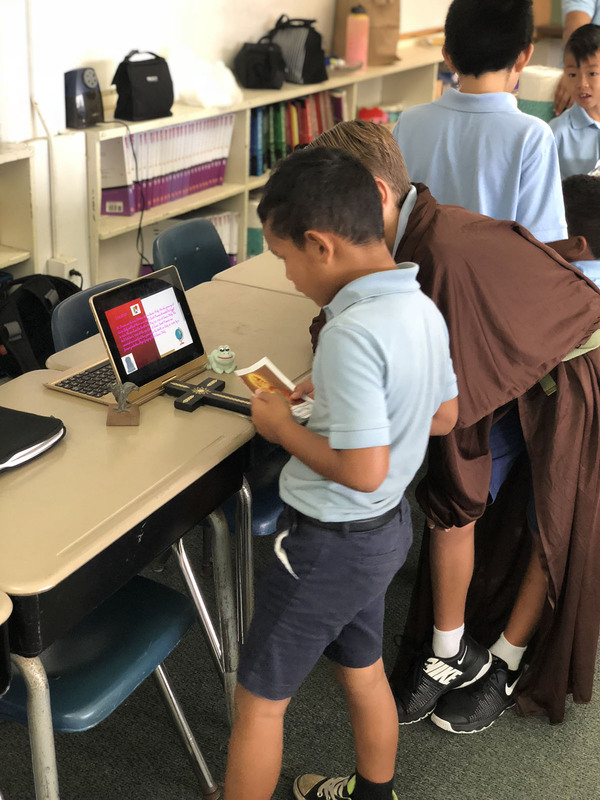 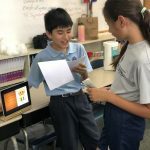 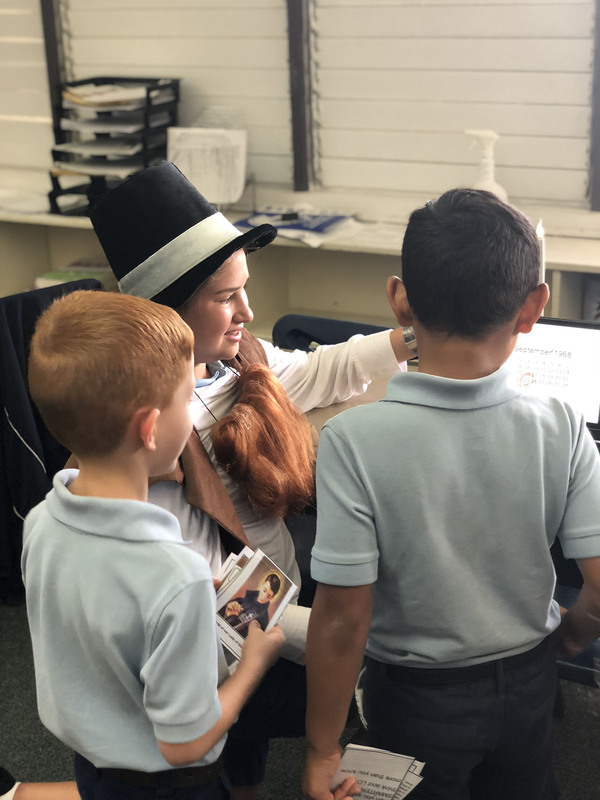 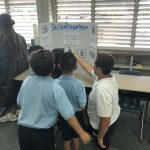 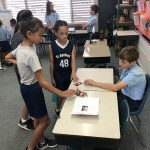 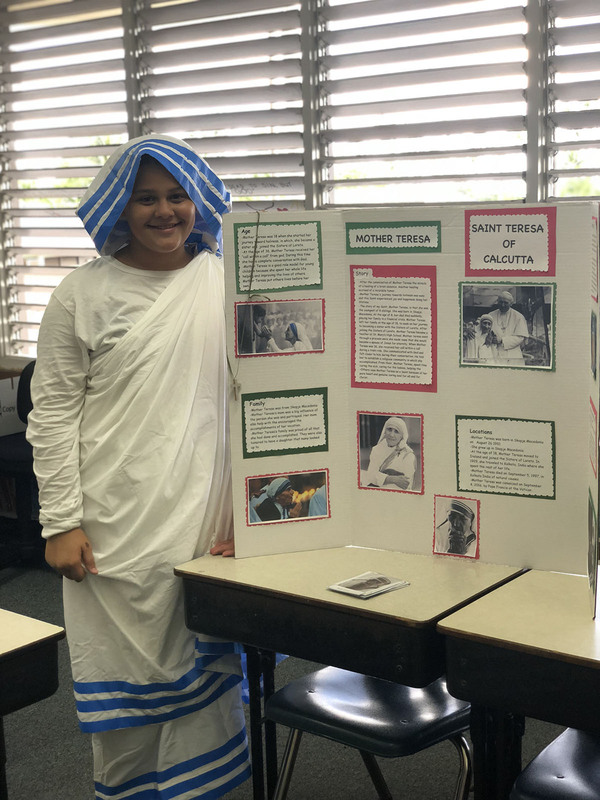 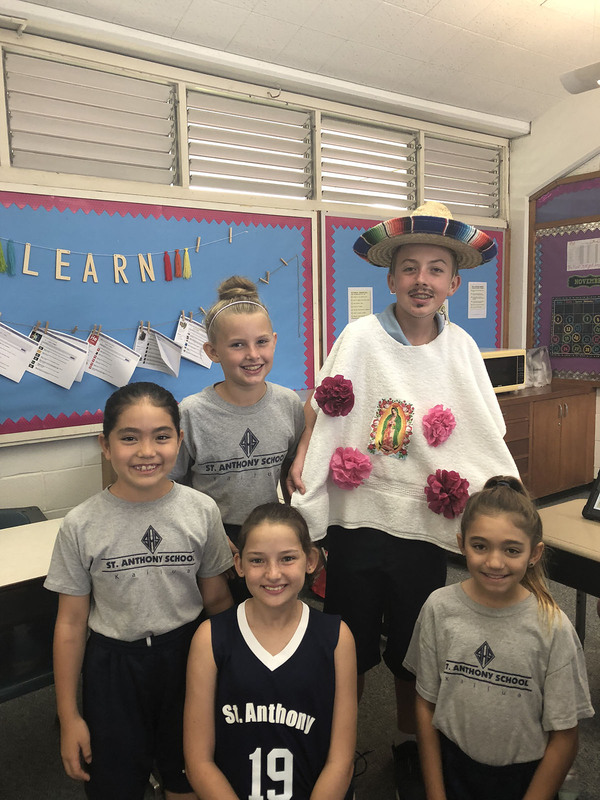 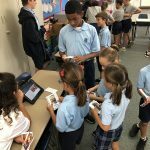 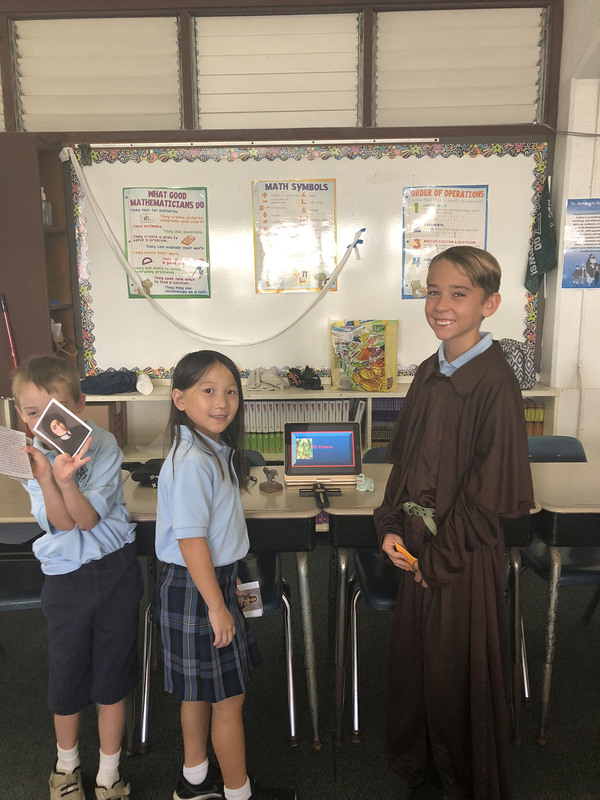 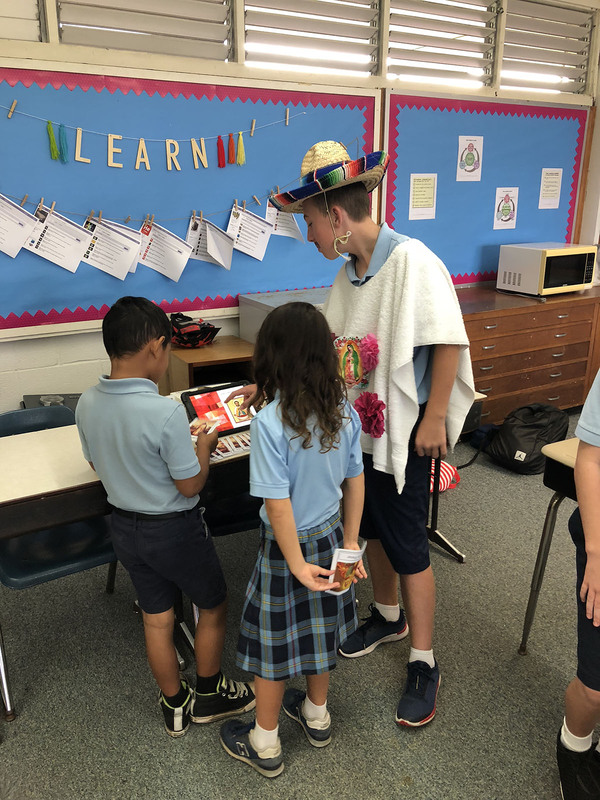 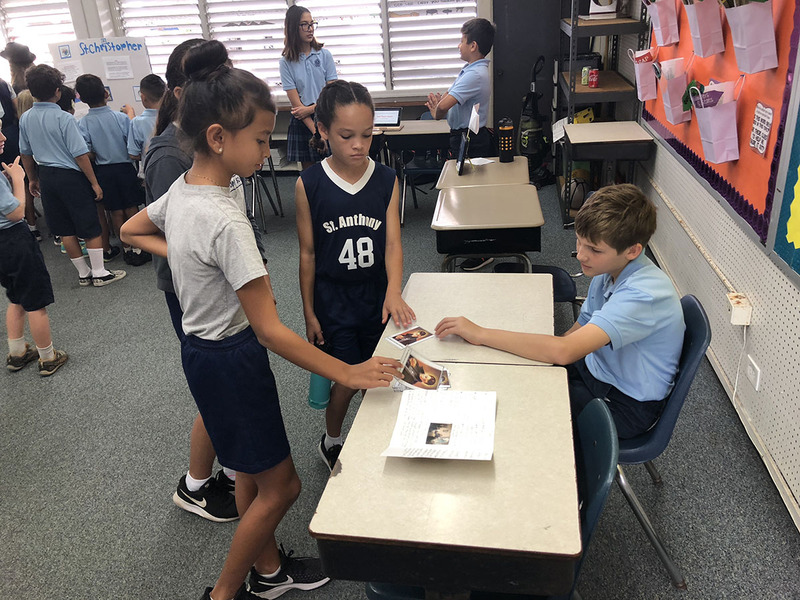 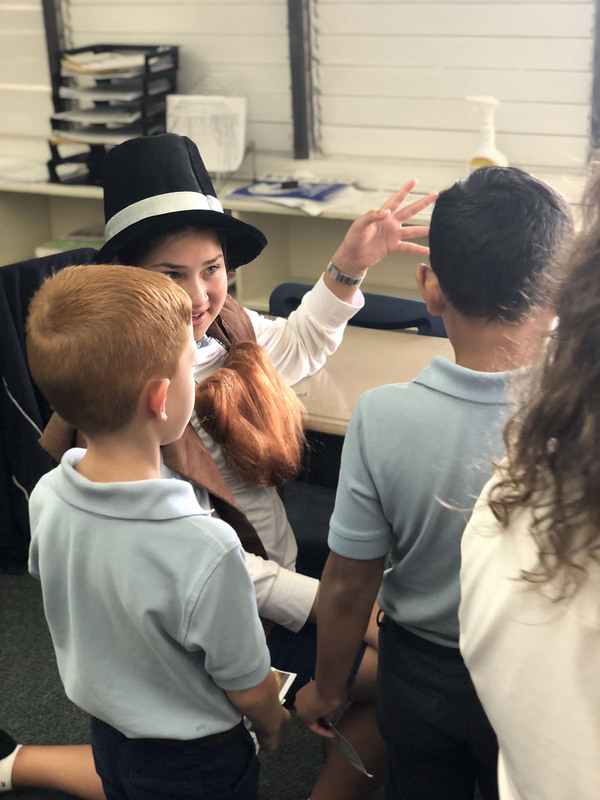 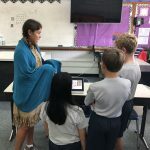 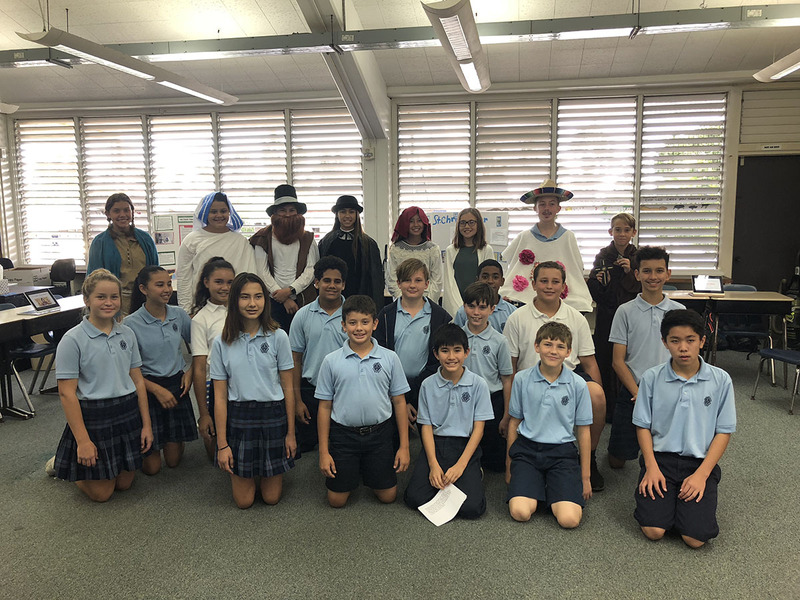 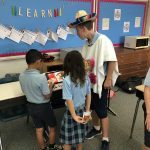 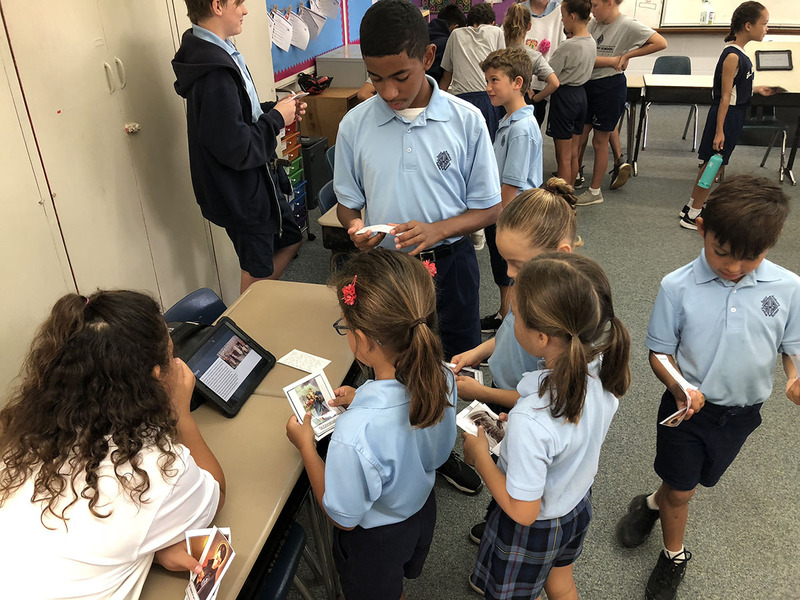 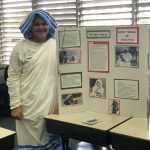 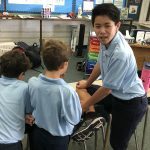 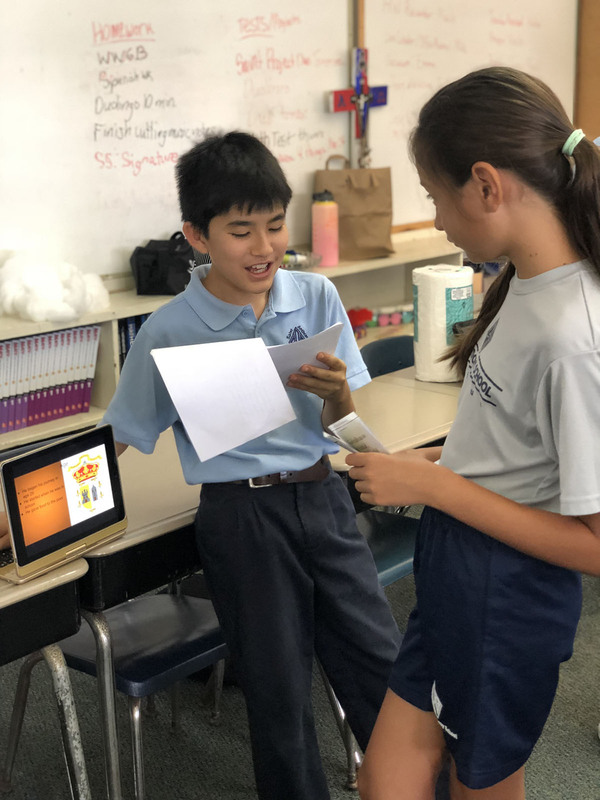 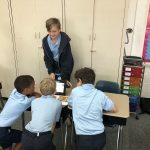 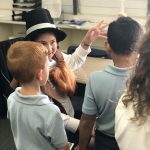 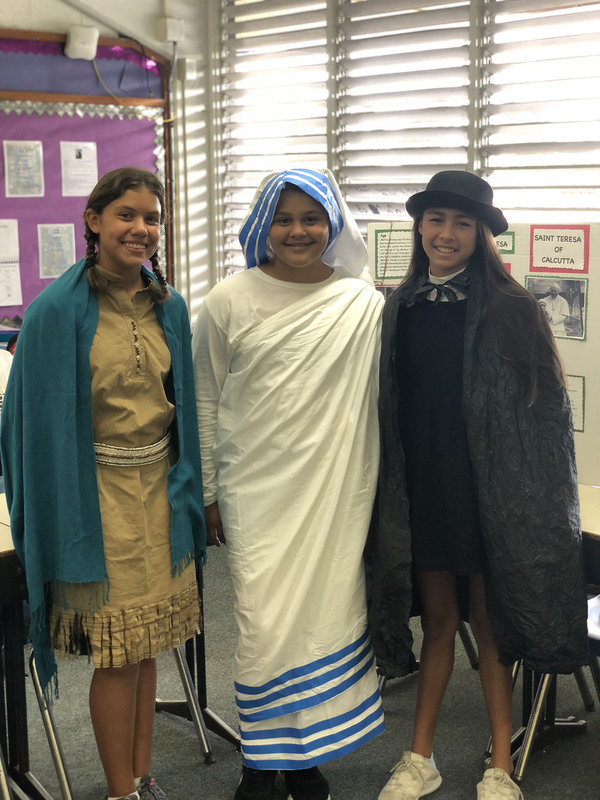 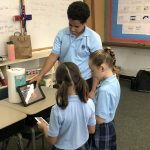 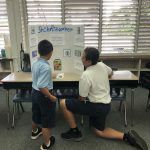 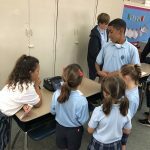 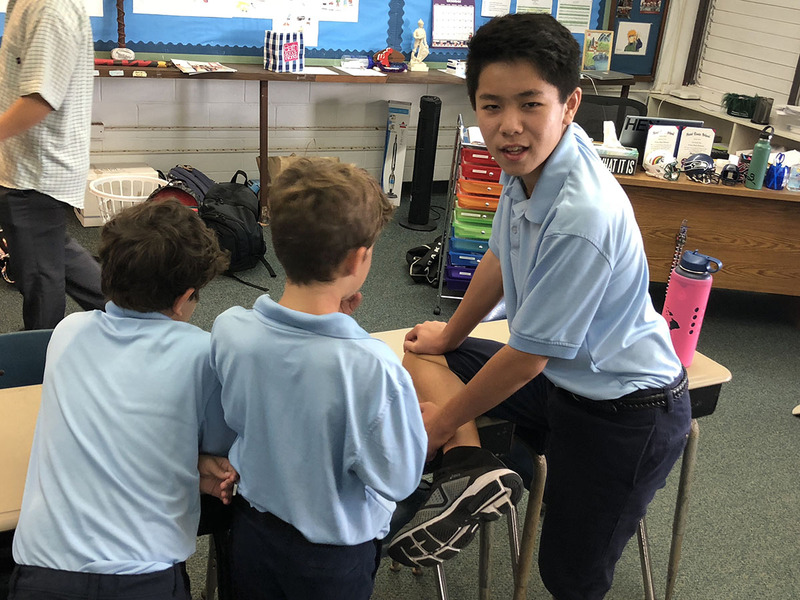 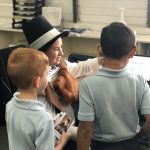 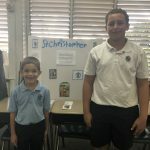 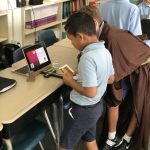 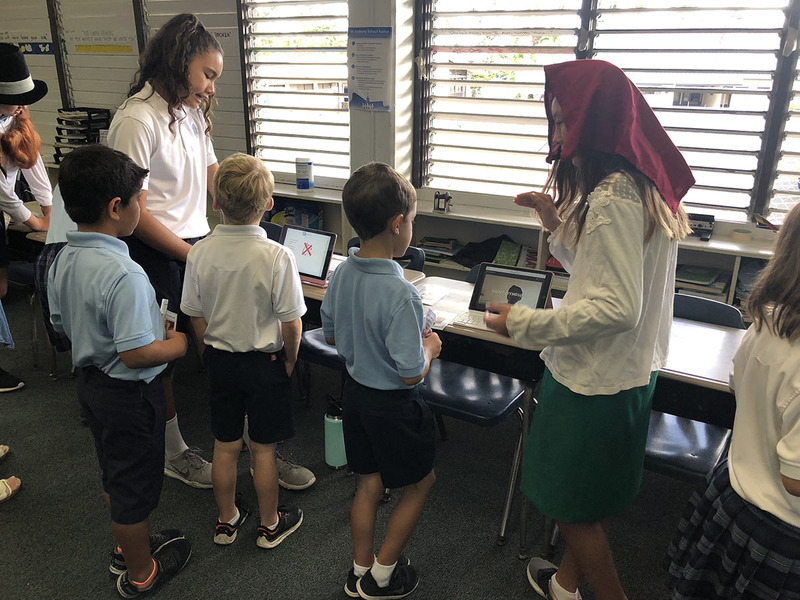 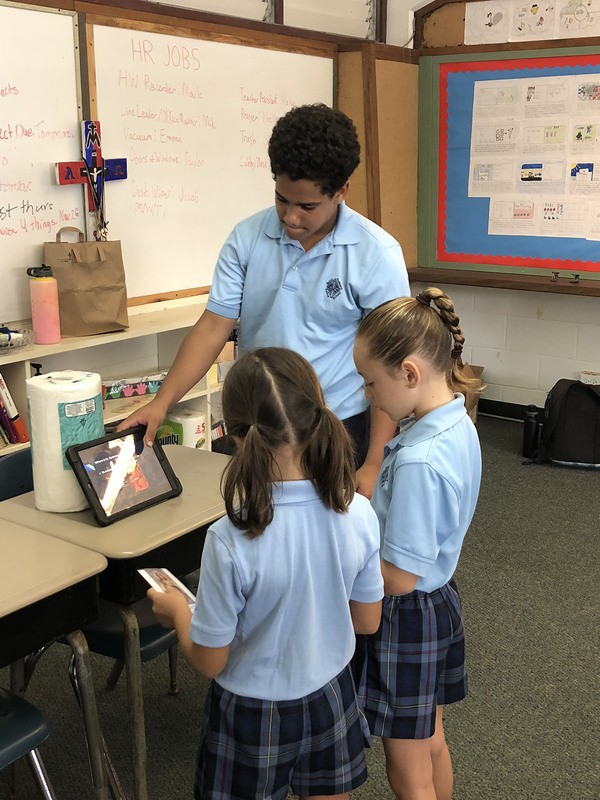 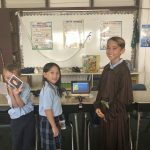 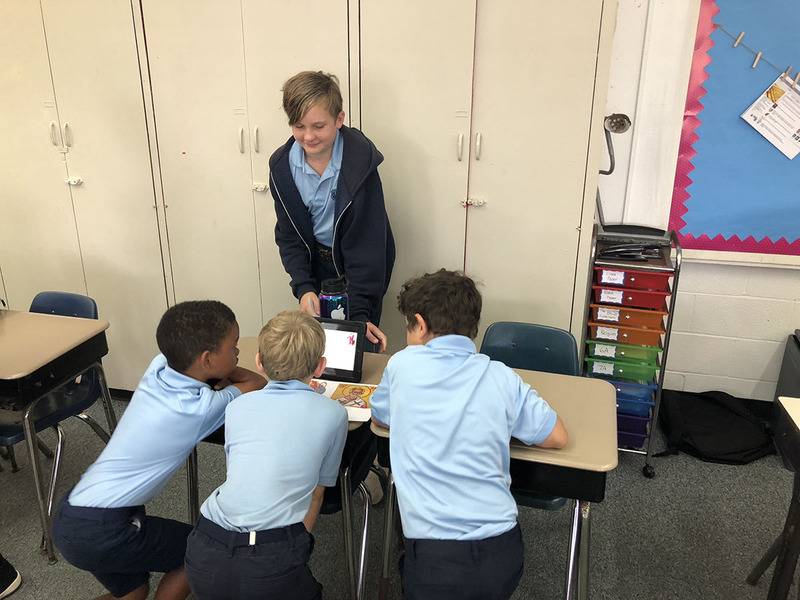 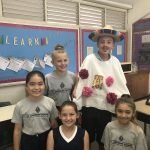 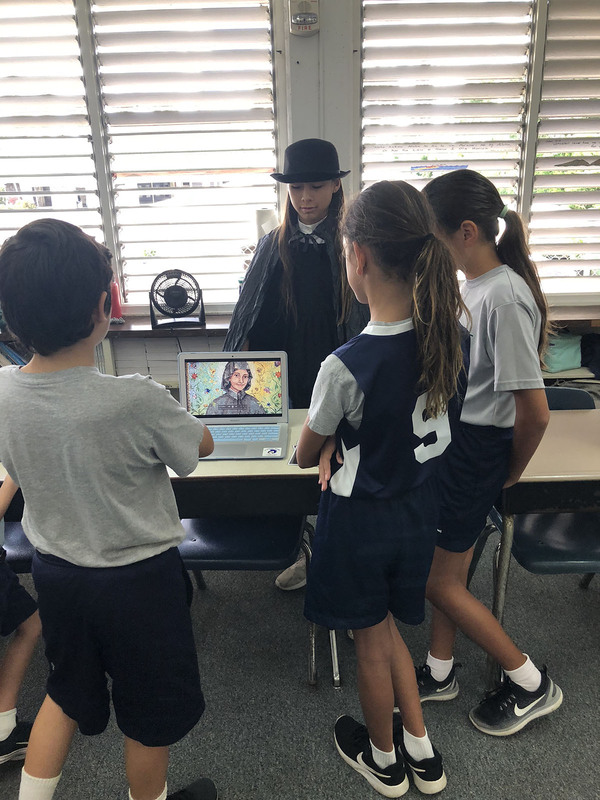 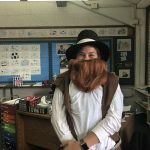 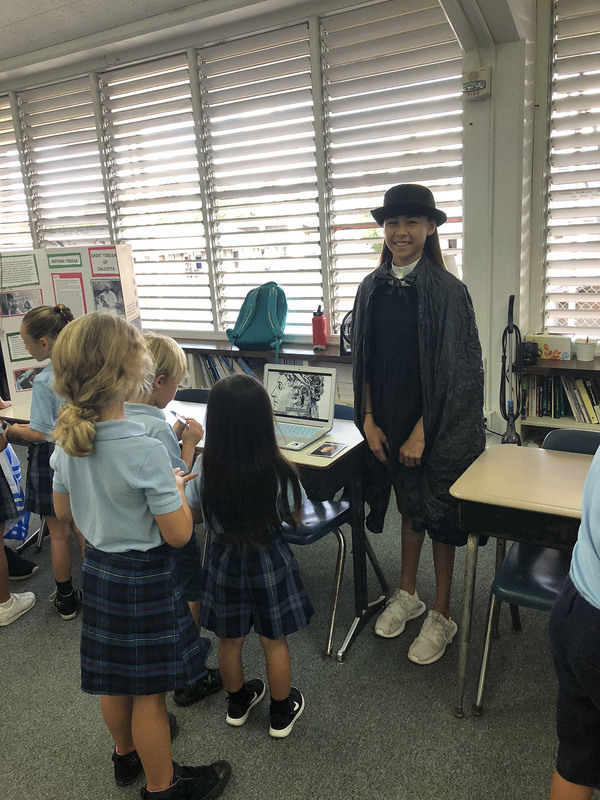 The seventh grade hosted a Saints Fair to teach first graders about saints and to prepare second graders for confirmation. 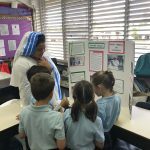 Students chose a saint who was personally meaningful to them and conducted research on the lives of those saints. 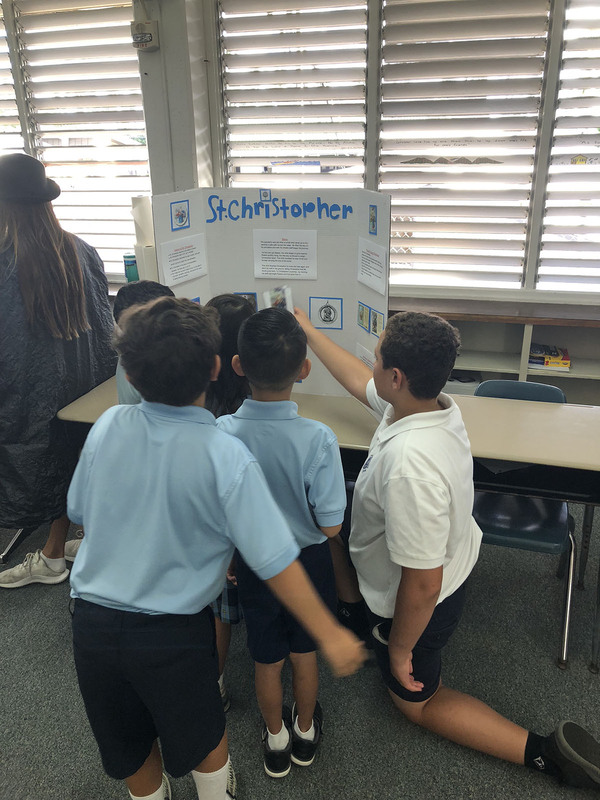 The students then used this research to create a presentation to share with younger students. 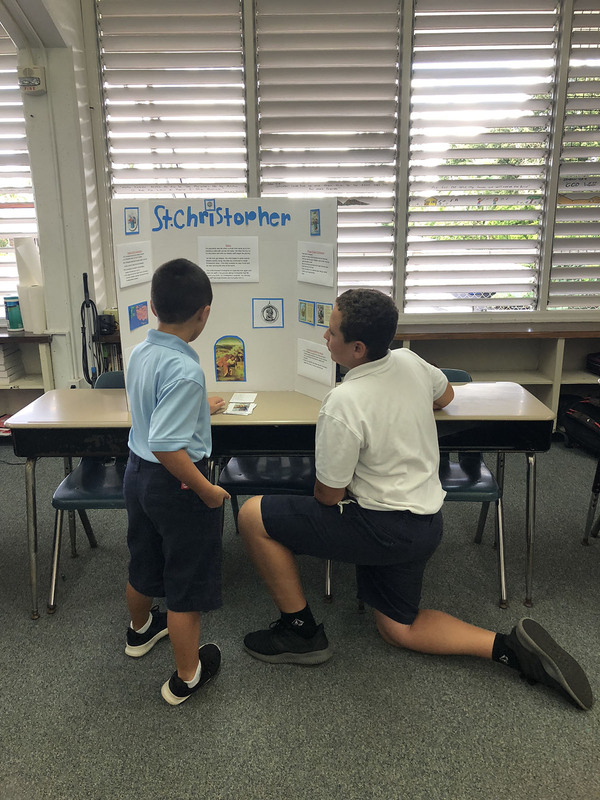 The Fair provided a fun and educational opportunity for older and younger students to work together as they explored their faith.